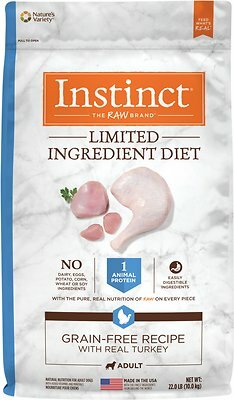 Give your dog simple and essential nutrition with Instinct by Nature's Variety Limited Ingredient Diet Grain-Free Recipe with Real Turkey Dry Dog Food. Because when your dog has food sensitivities, knowing exactly what’s in his food is important. That’s why this recipe features a purposefully short ingredient list, made with just one animal protein and one vegetable. 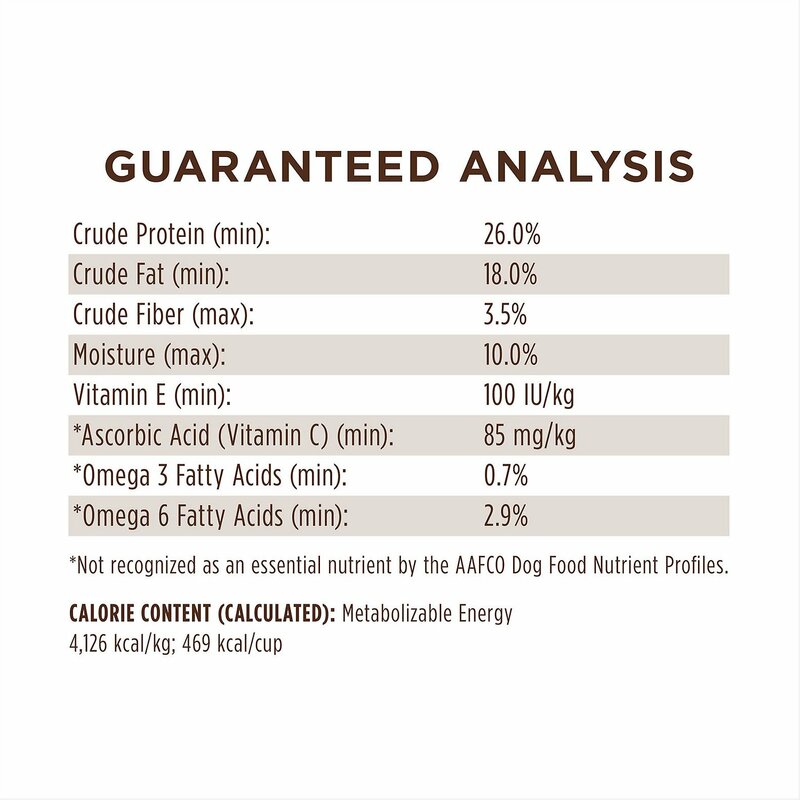 Guided by the purity and simplicity of raw nutrition, it’s the simple and essential food that your dog needs to thrive—and it’s all made in the USA with the finest ingredients from around the world. 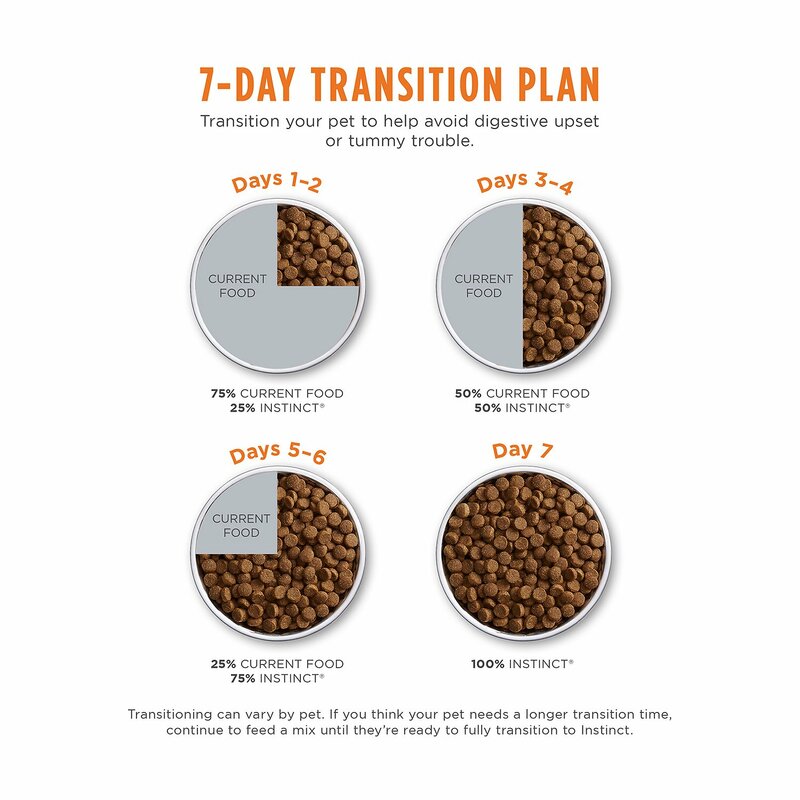 The ingredient list is purposefully simple for pets with food sensitivities. It focuses on one animal protein and one vegetable—versus the mix of each you'll find in most pet foods. Sometimes what's not included is just as important as what is. 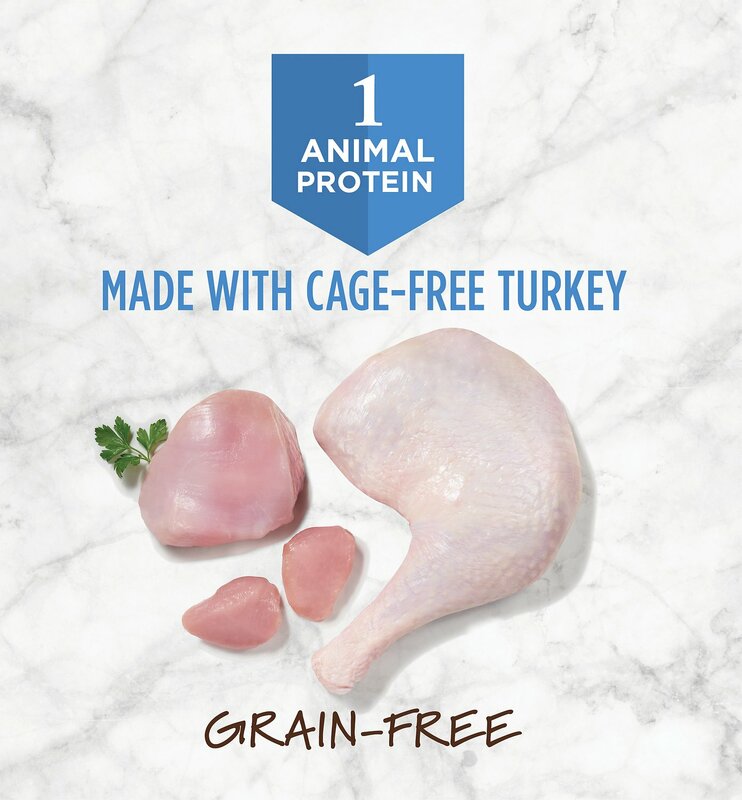 These recipes are made with grass-fed meat or cage-free poultry and always made without grain, dairy, eggs, potato, corn, wheat, soy or artificial ingredients. 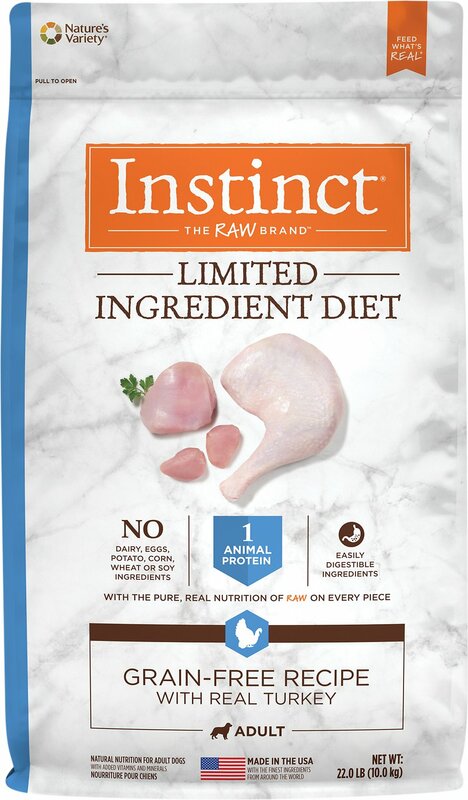 They put the pure, real nutrition of raw on every piece of Instinct Limited Ingredient Diet by tumbling their kibble with crushed, freeze-dried raw—raising the bar in nutrition and taste. Esay on the stomach & my girl still loves it! I am unsure of how many people have dogs that get sick on food or refuse to eat the same food for any length of time. I've always had the battle of getting something good for her sensitive stomach & something she wants to eat. This has some great ingredients. My picky eater loves it. Her stomach loves it. I also am happy that this is made in the USA. I worry less about contamination or any other 'crap' put in by China. I'll stick with this one! My rescued YorkiePoo came to reside with me having struggled with keeping food down. This grain free, limited ingredient dry dog food was the answer to my prayer. She loves the turkey flavor. I also buy the Instinct dry biscuits, duck/sweet potato flavor. She loves them and digests them just as well as the Instinct dog food. I've kept her on this diet for five years. Chewy has always been our source, consistently providing service above and beyond thee absolute best! My chocolate lab, Liberty, has been eating Instinct by Nature's Variety Limited Ingredient Diet most of his life due to severe allergies and he is now almost 15. In addition to this food and allergy shots and a miracle drug called Apoquel his quality of life has been excellent. My only complaint is the most recent new packaging of this food. The seal on the bag is so far down on the bag it is impossible to seal which is very frustrating. I called the company quite some time ago but nothing has changed. So Happy I Switched To This! My puppy loves this dry food brand and it makes her skin feel great as well as improving her overall health! 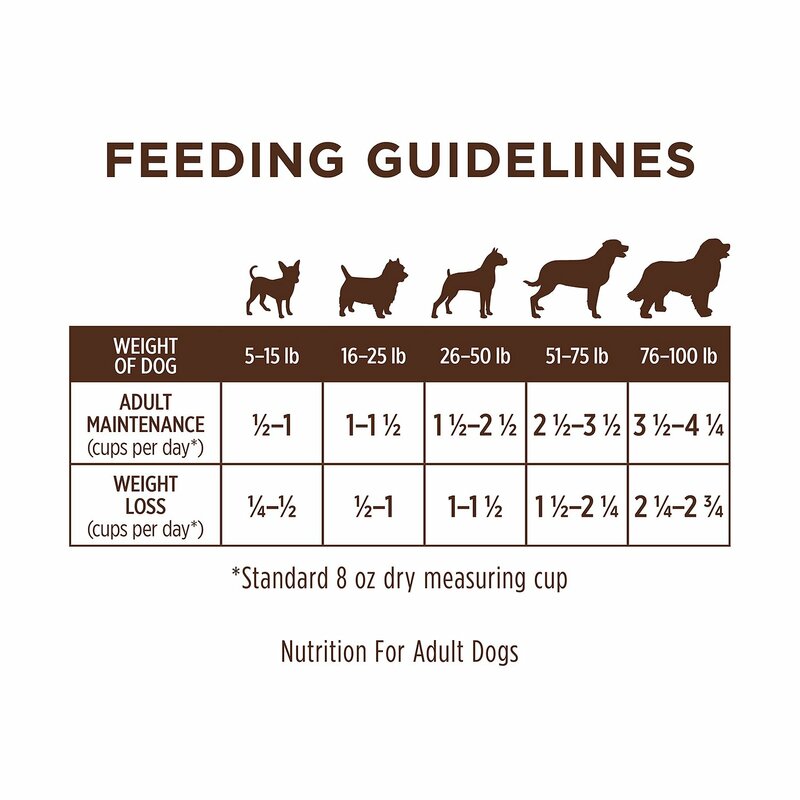 We had to change dog foods because one of our dogs developed an allergy to the grains in our previous food. Slowly changed to this brand and after time the allergies dissipated. Great food and great company to order from! This has perked up our dog and he is feeling 100% like new. Great for dogs with allergies and sensitive stomach. We bought this food for our dog who is allergic to chicken but needs to lose weight. He loves this! I feed this to our pittie mixes and Chihuhauas ages 4-12 and it agrees with all their stomachs and is a neutral food so it doesn't make one of their seasonal allergies bad. I love how good the ingredients are for kibble and that they use freeze-dried ingredients in the recipe. 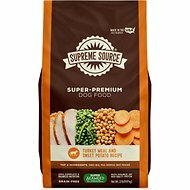 Highly suggest for a superior kibble at an affordable price.